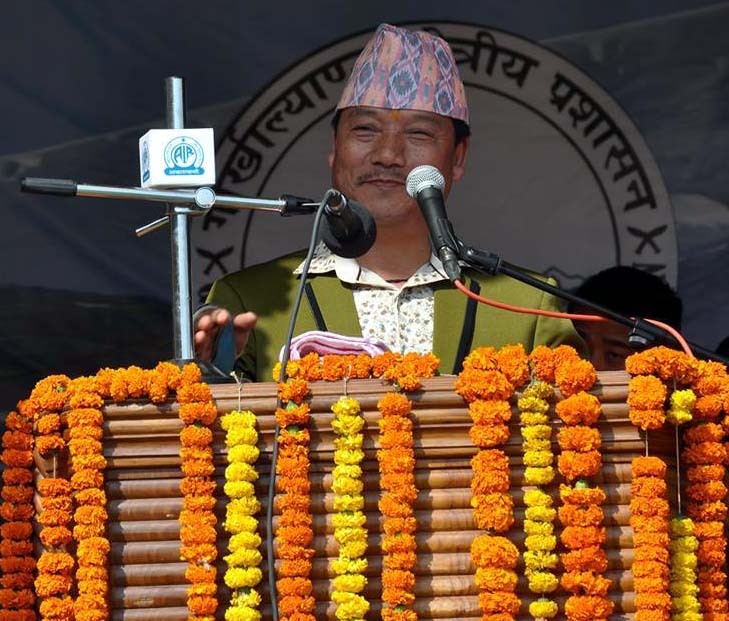 The Darjeeling police have slapped cases against Gorkha Janmukti Morcha chief Bimal Gurung and a host of youth leaders of the party for making provocative speeches and inciting the public. The police have also withdrawn permission to the GJM’s youth wing to hold weekly rallies and public meetings to raise awareness about the statehood demand. The Gorkha Janmukti Yuwa Morcha (GJYM) has been organiing a rally and public meeting every week on Thursdays. The next meeting was scheduled on September 1 at Chowk Bazar in Darjeeling. Police officers including Darjeeling superintendent of police Amit Javalgi refused to comment, but informed sources confirmed that a case has been started against 14 GJM youth leaders while another has been filed against Gurung. The sources could not specify the sections under which the cases have been lodged against the GJM chief and youth leaders, but they said, “A case has been lodged against the GJM president relating to the provocative speech he made on August 7 at Tukvar. A similar case has been lodged against 14 youth leaders for making inciting and provocative speeches on August 25." Addressing a youth meeting at Tukvar, the GJM chief had told the gathering that time had come to talk about the community, land and about raising arms for the Gorkhaland agitation. The very next day however, senior GJM leaders issued a clarification saying the party president’s remarks had been misconstrued. “What our president was trying to say was that the state government, through continuous interference in the functioning of the Gorkhaland Territorial Administration, was creating such a scenario. We have always believed in democratic agitation and will continue to do so,” a central committee leader had clarified. But the police say they have collected evidence against the GJM chief and youth leaders who have made provocative speeches. 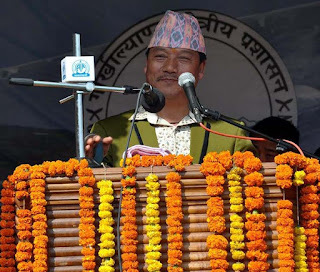 “At Tukvar, Gurung had called for an armed struggle for achieving statehood and the need to shed blood. Further, the GJM’s youth wing leaders have publicly spoken about severing heads of anti-Gorkhaland people. This amounts to enticing people. Also, no permission was sought by the GJM youth organisation to hold a public meeting at Tukvar,” said a senior police official not wishing to be named. Among the 14 names, the prominent ones are those of GJYM general secretary Priyabarden Rai and Amrit Yonzon, the front’s spokesperson, said a police source. The GJYM general secretary could not be contacted, but Yonzon countered that the police were trying to curb the democratic rights of citizens and that they would go ahead with their statehood movement. “Why is the police only targeting us? TMC leaders are also giving provocative speeches in their public meetings, threatening to burn down the house of our party president and even asking us to join their ranks. We have proof of this and if required we will provide them,” the GJYM spokesperson said. Regarding the threat of going ahead with the statehood agitation in spite of being denied permission to hold rallies and public meetings, Yonzon said, “Our agitation is for a Gorkhaland state; we are following Gandhian principles and we are ready to court arrest if the need arises. By denying us permission, the police department is trying to curb our democratic right to raise our just demand,” said Yonzon. One senior officer said the police had no problem in allowing the GJM youth wing to hold rallies and public meetings if an undertaking was given promising not to make provocative speeches. “First of all, we do not have evidence to prove that TMC leaders have made provocative speeches. But if we do so, we will definitely take necessary action. As far as granting permission to the GJM youth wing is concerned, we can consider the case if an undertaking is given,” he said, adding the police did not have problems in allowing other GJM frontal organisations to hold political programmes. Darjeeling superintendent of police Amit Javalgi refused to comment, but informed sources confirmed that a case has been started against 14 GJM youth leaders while another has been filed against Bimal Gurung.